A new product from Kirsty Adams Ceramics. 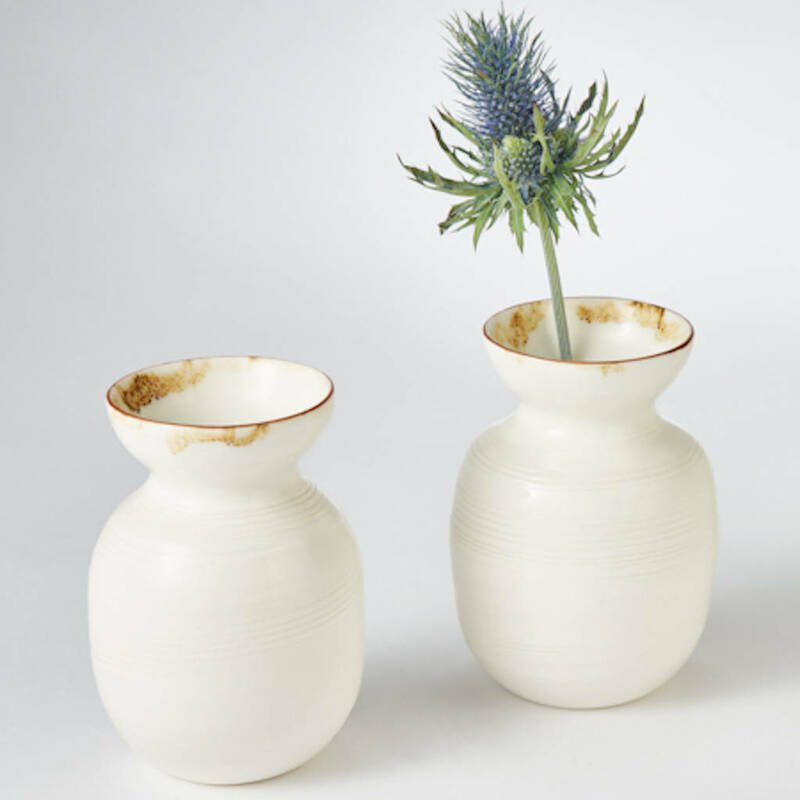 A unique hand thrown porcelain narrow neck vase with a distinctive bronze lustre rim. A stunning addition to your home interior or as a gift for someone special. Can be bought as a one off piece or as a vase collection. Each piece is individually hand thrown on the pottery wheel, textured with a Japanese wooden comb tool, decorated with a gloss glaze and bronze lustre rim. Kirsty's individual stamped porcelain potters mark is used as a signature for each piece, making it a collectable piece for the future. As they are all handmade, items may vary from those shown. This product is a beautiful addition to any room and perfect as a gift. 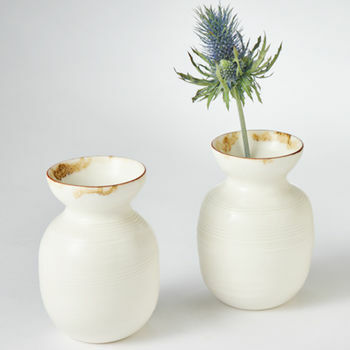 High fired porcelain clay with textured surface and a gloss white glaze with a bronze lustre rim detail. Durable and beautiful vase. Not recommended for dishwasher. 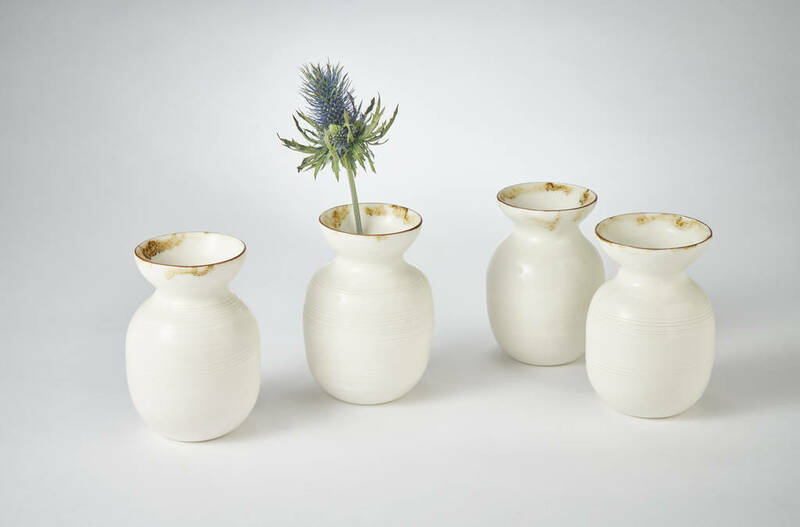 This product is dispatched to you by Kirsty Adams Ceramics.